September 15, 2018. Join us to remove trash from the park. Trash and recycling bags, and gloves, provided. Bring friends and family. Will take place on the second Saturday of the month, starting in October 2018 and continuing through March 2019. All are welcome to join Friends of Bedwell Bayfront Park and Sequoia Audubon Society for a 1-2 hour beginner/refresher bird walk. 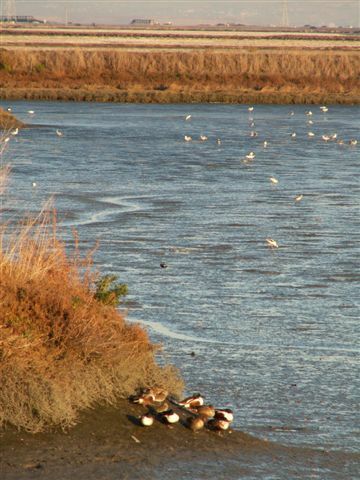 We should see wintering ducks and shorebirds, perhaps egrets, a raptor (hawk) or two, and some LBBs (little brown birds). Bring binoculars if you have them: if not, we'll have some to share. Meet at the parking lot by restrooms at Bedwell Bayfront Park, 1600 Marsh Road, Menlo Park. Heavy rain cancels.